FairyTale Villa Discounts Applied to Prices at Checkout! New and Improved Fairy Tale Villa. (Exclusive to makeCNC) This Fairy Tale Villa was inspired by an actual mansion in New York. Mother Goose nursery rhymes are just to name a few. looking windows and a long sleek overhang porch. 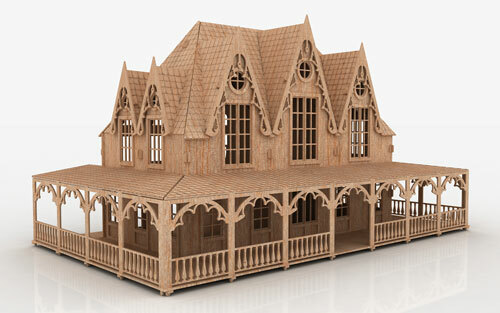 Collect your Fairy Tale Villa Today and add it to your already growing Dollhouse collection! That's a total of over 20 file types scales and formats for this Fairy Tale Villa!